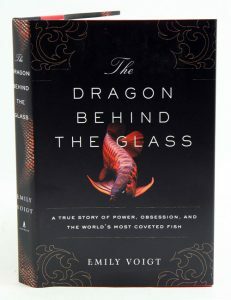 The dragon behind the glass: a true story of power, obsession and the world’s most coveted fish. A riveting journey into the bizarre world of the Asian arowana or “dragon fish” the world’s most expensive aquarium fish-reveals a surprising history with profound implications for the future of wild animals and human beings alike. A young man is murdered for his prized pet fish. An Asian tycoon buys a single specimen for $150,000. Meanwhile, a pet detective chases smugglers through the streets of New York. Delving into an outlandish realm of obsession, paranoia, and criminality, The Dragon Behind the Glass tells the story of a fish like none other: a powerful predator dating to the age of the dinosaurs. Treasured as a status symbol believed to bring good luck, the Asian arowana is bred on high-security farms in Southeast Asia and sold by the hundreds of thousands each year. In the United States, however, it’s protected by the Endangered Species Act and illegal to bring into the country-though it remains the object of a thriving black market. From the South Bronx to Singapore, journalist Emily Voigt follows the trail of the fish, ultimately embarking on a years-long quest to find the arowana in the wild, venturing deep into some of the last remaining tropical wildernesses on earth. With a captivating blend of personal reporting, history, and science, The Dragon Behind the Glass traces our modern fascination with aquarium fish back to the era of exploration when intrepid naturalists stood on the cutting edge of modern science, discovering new and wondrous species in jungles all over the world. In an age when freshwater fish now comprise one of the most rapidly vanishing groups of animals on the planet, Voigt unearths a paradoxical truth behind the dragon fish’s rise to fame-one that calls into question how we protect the world’s rarest species. An elegant exploration of the human conquest of nature, The Dragon Behind the Glass revels in the sheer wonder of life’s diversity and lays bare our deepest desire-to hold onto what is wild. Artist/Author: Hastings, Philip A. et al. With over 33,000 species, living fishes account for more than half of the extant vertebrate diversity on Earth. 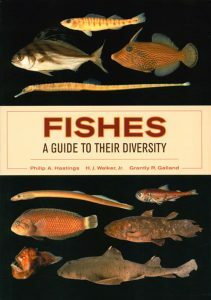 This unique and comprehensive reference presents the basic anatomy and diversity of all 82 orders of fishes and more than 150 of the most commonly encountered families, focusing on their distinctive features. Accurate identification of each group, including its distinguishing characteristics, is supported with clear photographs of preserved specimens. This diagnostic information is supplemented by radiographs, additional illustrations of particularly diverse lineages, and key references and ecological information for each group. 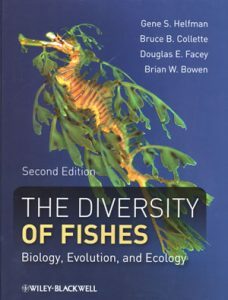 An ideal companion to primary ichthyology texts, this book gives a broad overview of fish morphology arranged in a modern classification system for students, fisheries scientists, marine biologists, vertebrate zoologists, and everyday naturalists. This survey of the most speciose and numerous group of vertebrates on Earth will expand the appreciation of and interest in the amazing diversity of fishes. Artist/Author: Eddy, F. Brian and Richard D. Handy. This title is not held in stock but we are happy to supply on special order. Please contact us.This book presents a current and comprehensive overview of fish physiology to demonstrate how living fish function in their environment. 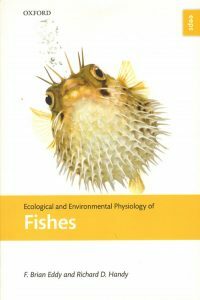 As with other books in the Series, the emphasis is on the unique physiological characteristics of the fish, but with applications to questions of broad relevance in physiological ecology. 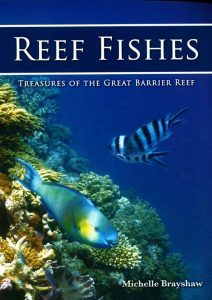 A preliminary chapter introduces the aquatic environment and gives a general description of fish biology, evolution, and taxonomy. Subsequent sections discuss the particular problems of living in water, life in extreme environments, techniques for studying fish ecophysiology, and future research directions. Also available in hardcover [stock id 33822]. Artist/Author: Halverson, Anders and Patricia Nelson Limerick. An exhaustively researched and grippingly rendered account of the Rainbow trout and why it has become the most commonly stocked and controversial freshwater fish in the United States. Discovered in the remote waters of northern California, rainbow trout have been artificially propagated and distributed for more than 130 years by government officials eager to present Americans with an opportunity to get back to nature by going fishing. Proudly dubbed ‘an entirely synthetic fish’ by fisheries managers, the rainbow trout has been introduced into every state and province in the United States and Canada and to every continent except Antarctica, often with devastating effects on the native fauna. Halverson examines the paradoxes and reveals a range of characters, from nineteenth-century boosters who believed rainbows could be the saviours of democracy to twenty-first-century biologists who now seek to eradicate them from waters around the globe. Ultimately, the story of the rainbow trout is the story of our relationship with the natural world – how it has changed and how it startlingly has not. 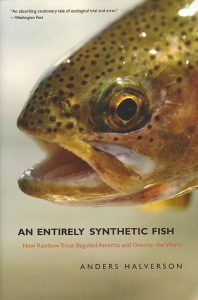 An entirely “synthetic” fish: how Rainbow trout beguiled America and overan the world. 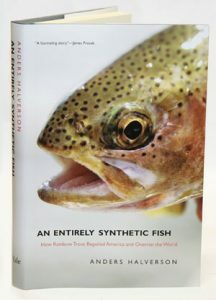 An exhaustively researched and grippingly rendered account of the Rainbow trout and why it has become the most commonly stocked and controversial freshwater fish in the United States. Discovered in the remote waters of northern California, rainbow trout have been artificially propagated and distributed for more than 130 years by government officials eager to present Americans with an opportunity to get back to nature by going fishing. Proudly dubbed ‘an entirely synthetic fish’ by fisheries managers, the rainbow trout has been introduced into every state and province in the United States and Canada and to every continent except Antarctica, often with devastating effects on the native fauna. Halverson examines the paradoxes and reveals a range of characters, from nineteenth-century boosters who believed rainbows could be the saviours of democracy to twenty-first-century biologists who now seek to eradicate them from waters around the globe. Ultimately, the story of the rainbow trout is the story of our relationship with the natural world – how it has changed and how it startlingly has not. Also available in paperback [stock id 32798]. Artist/Author: Helfman, Gene S., et al. Incorporates various advances in the biology of fishes, covering taxonomy, anatomy, physiology, biogeography, ecology, and behaviour. 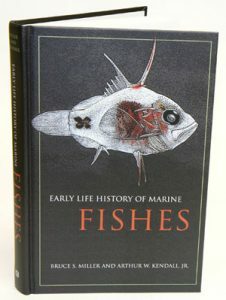 This book contains a chapter on genetics and molecular ecology of fishes. Artist/Author: Miller, Bruce S. and Arthur W. Kendall. The life cycles of fishes are complex and varied, and knowledge of the early life stages is important for understanding the biology, ecology, and evolution of fishes. This book offers guidance on how to collect and analyse larval fish data and on how this information is interpreted by applied fish biologists and fisheries managers. Artist/Author: Furlani, Dianne, et al. Otoliths (structure in the saccule or utricle of the inner ear) have a characteristic shape for each species of fish. Being bony, otoliths are not easily digested and as a result they can show which fish make up the diet of various predators, including cephalopods, marine mammals, penguins and seabirds generally. In addition, otoliths have become the primary structure used for estimating fish age. 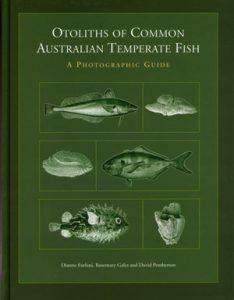 This book is intended as a laboratory guide and will allow users to accurately identify species and size of fish using otoliths. As such, it will be of use to ornithologists, marine scientists and marine mammal researchers studying stomach contents, as well as fisheries researchers and fish biologists studying age and growth or comparative anatomy. Each entry includes a written guide to identification and SEM photographs of the otolith. Main features presented for each species include brief distribution and ecology notes, regression for both otolith and fish length, and standardised description of the otolith structure, including size and surface features. Artist/Author: Hamlett, William C., editor. 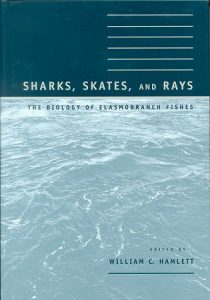 A comprehensive overview of Elasmobranch morphology, with information on physiology and biochemistry.